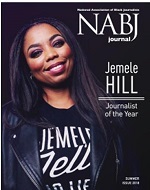 WASHINGTON, May 25, 2011 - The National Association of Black Journalists (NABJ) announced today the finalists for its 2011 Salute to Excellence Awards. The competition honors work from print, television, radio, online, photojournalism, and public relations. Winners will be announced Saturday, August 6, 2011 at a gala celebration during NABJ's 36th Annual Convention and Career Fair in Philadelphia, the largest gathering of minority journalists in the country. "In this historic year, journalists treated issues of race and black America with heightened importance," said NABJ President Kathy Y. Times. "From stories on devastation in Haiti, the unemployment and economic crisis, to the wars in Iraq and Afghanistan, and so on; the stories and the field of candidates were incredible." 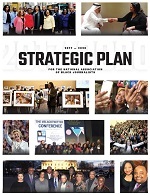 Entries were judged on content, creativity, innovation, use of the medium and relevance to the black , community. Hosts for this year’s gala will be reporter and analyst for The Tom Joyner Morning Show Jacque Reid, and co-host of the Insider, Kevin Frazier. "We're extremely excited and proud of this year's finalists for our national media awards," said Ray Metoyer, National Salute to Excellence Awards Chair. "It was a challenge to select finalists from all of the exemplary work submitted by journalists from across the country, but this difficult task of choosing the best is a testament to the abundance of talent we have in our profession and organization." This year NABJ is honored to bestow its Journalist of the Year Award to Miami Herald’s Caribbean Correspondent Jacqueline Charles for her coverage of the on-going crisis in Haiti as it charts a new course since the devastating earthquake in January 2010. NABJ is also pleased to award NABJ Founder and Pulitzer Prize winning journalist Acel Moore with the organizations Lifetime Achievement Award for his amazing impact on American journalism for more than 50 years. For a complete list of the 2011 Salute to Excellence Awards finalists, please click here. Other top honorees include ESPN’s Claire Smith for the Legacy Award; SRB Communications’ Sheila Brooks for the Pat Tobin Media Professional; Virginia Commonwealth University’s Bonnie Newsman Davis for Educator of the Year, Newsday's Kimberley A. Martin for Emerging Journalist of the Year, and University of Southern California's Ashley Michelle Williams for Student Journalist of the Year. NABJ's 36th Annual Convention and Career Fair will take place Aug. 3-7, 2011 in Philadelphia. The Salute to Excellence Awards Gala is the only awards program that honors exemplary coverage of African/African-American people or issues exclusively. Over 50 awards will be presented to writers, columnists, producers, reporters, photojournalists and editors for their exemplary work. For additional information, registration, and ticket sales please visit us at www.nabj.org.